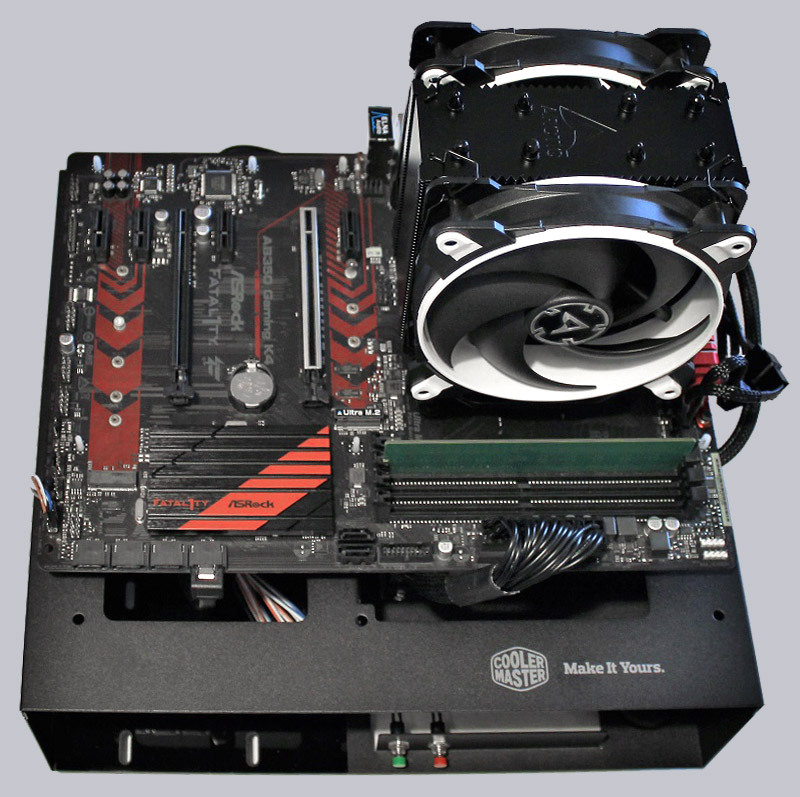 For measurement, the following tools were used: Prime95 and SpeedFan. The ambient temperature during the test was about 21°C. 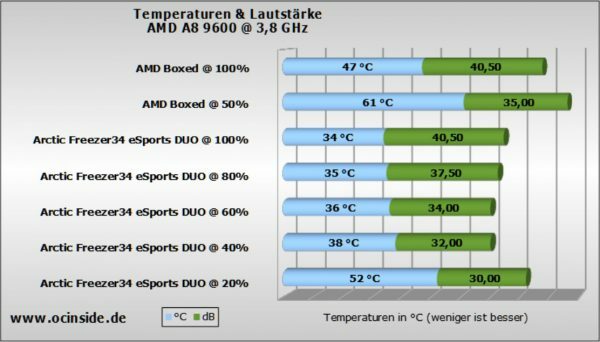 The Arctic Freezer 34 eSports DUO also competes against the AMD Boxed cooler. If you want, you can also check out our recently published reviews of the Cooler Master MA610P and the SilentiumPC Fera 3 RGB which were tested under the same conditions and compare the results. We then used the CPU for 30 minutes with Prime95 and recorded the temperatures. 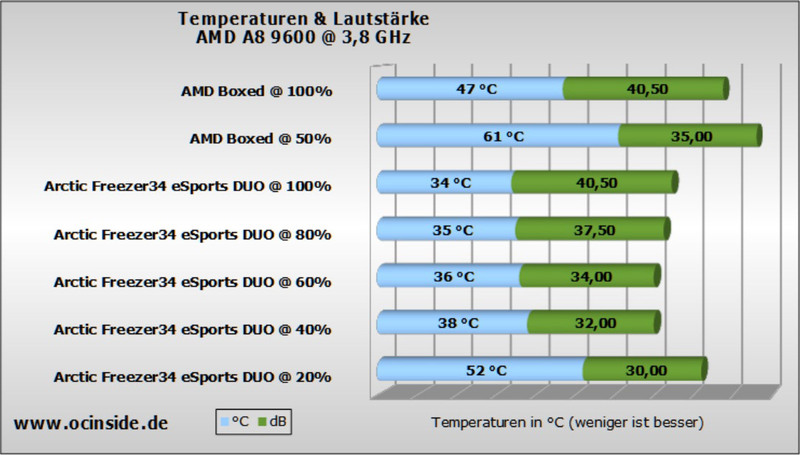 The Arctic Freezer 34 eSports DUO beats the AMD Boxed cooler naturally, both in terms of temperature and noise level. 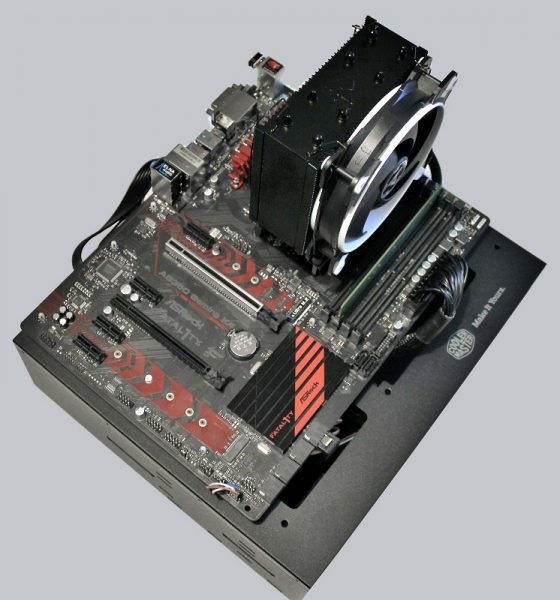 We also let the Freezer 34 eSports DUO compete against the Noctua NH-D15. But this time on an AMD Ryzen 7 1800X. 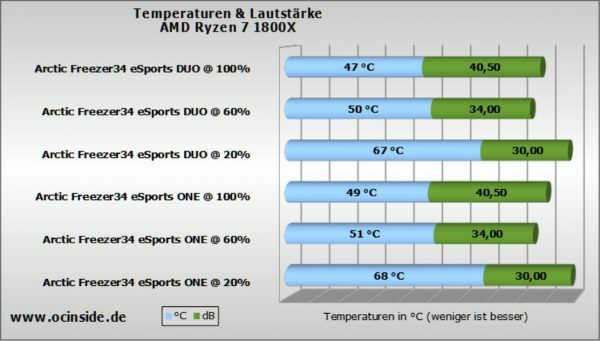 The comparison may not be all that fair, but the Freezer 34 eSports DUO makes a good job against the much larger Noctua cooler. Only the 20% attitude drops disproportionately. Although we have not confirmed information at the time of testing, in the past Arctic has always considered the Freezer series with a ONE version that is only equipped with one fan. So we just removed the rear “pull fan” and simulated an Arctic Freezer 34 eSports ONE, which we can compare with the values of the DUO. The cooling performance is expected to be worse, but the loss is limited. Overclocking and silent at the same time in this configuration, however, probably no longer possible. The fan volume is measured with a dB meter from 100cm distance. In addition, we determine the respective rotational speed. The fans are very well tuned from our point of view and can serve any need, no matter whether low noise or maximum power during the next bench session.